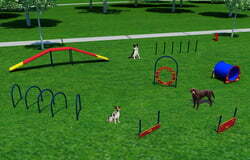 A Dog Walk Ramp is one of the most popular dog park components. 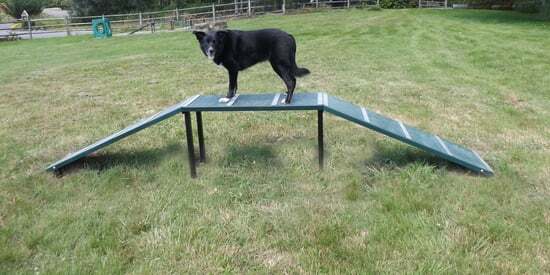 The platform rises only two feet at its highest point, which makes this a great introduction to dog agility and other components. 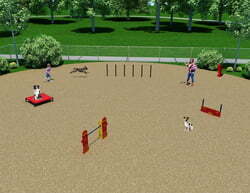 Just like our classic line of equipment, the Whippet Walk is manufactured with heavy gauge (and rust-resistant!) aluminum. 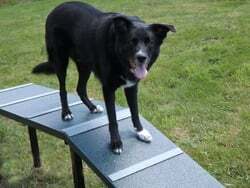 Eco-friendly materials! Planks contain 85% recycled content and posts are 80%. 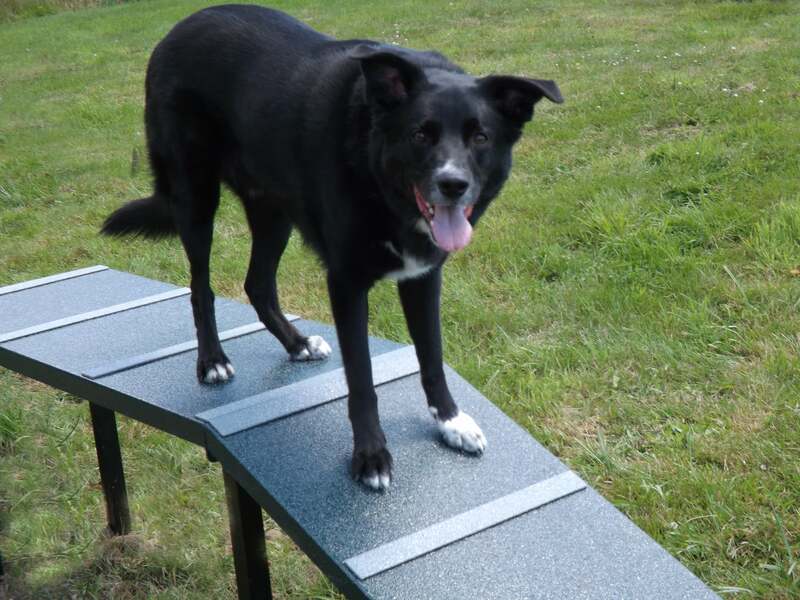 Features our exclusive PawsGrip coating for slip resistance. Accent strips are flush with planks. Includes stainless steel, vandal resistant hardware.